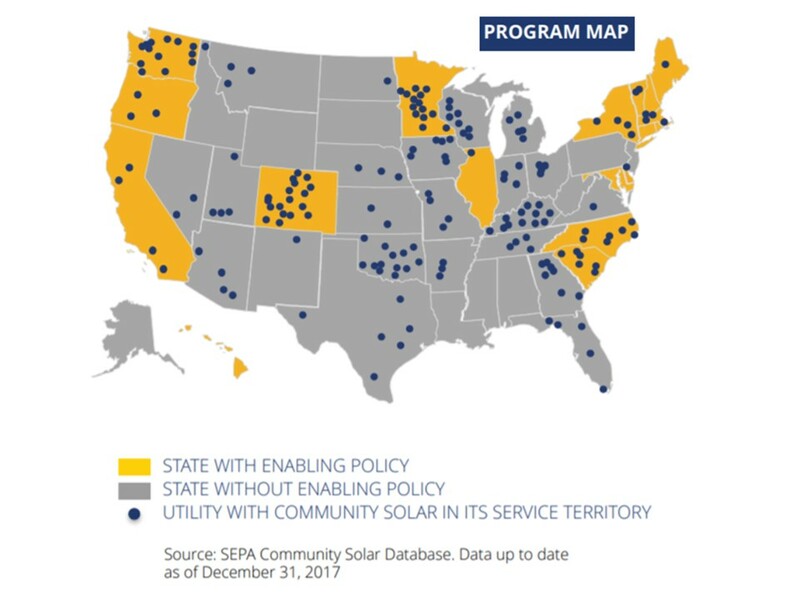 NewEnergyNews: ORIGINAL REPORTING: Does 112% growth in 2017 mean community solar has finally solved its complexity problem? 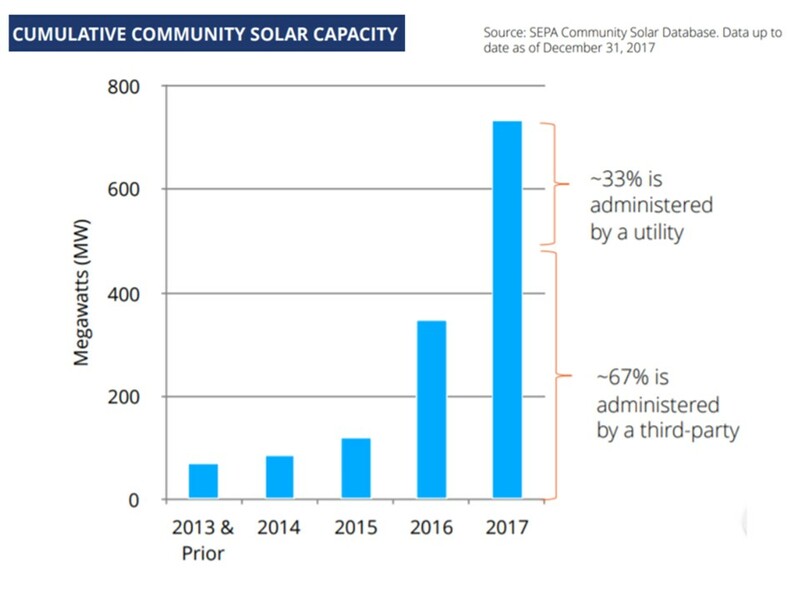 ORIGINAL REPORTING: Does 112% growth in 2017 mean community solar has finally solved its complexity problem? Does 112% growth in 2017 mean community solar has finally solved its complexity problem? Solar developers and utilities are moving into the sector fast, writing new rules as they go. Editor’s note: Community solar continues to slowly, quietly move into new markets. Utilities like big solar projects that they can own, and consumers like rooftop solar that they can own, but there is a third kind of solar emerging that may finally be ready to work for both utilities and consumers. 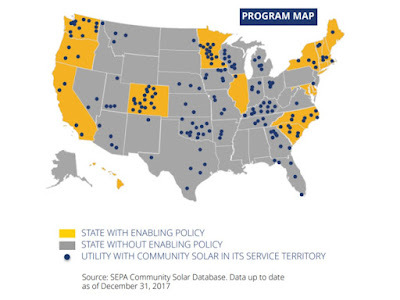 Community solar projects are interconnected with utilities’ distribution systems in ways that give utilities the same control they get with larger projects. But they are owned or leased by individual customers like rooftop solar. And they are big enough to get economies of scale that make them more affordable than rooftop solar. Community solar has been held back by the complexities that come with being the right choice for everybody. But recent growth shows it may have begun to resolve those complexities.